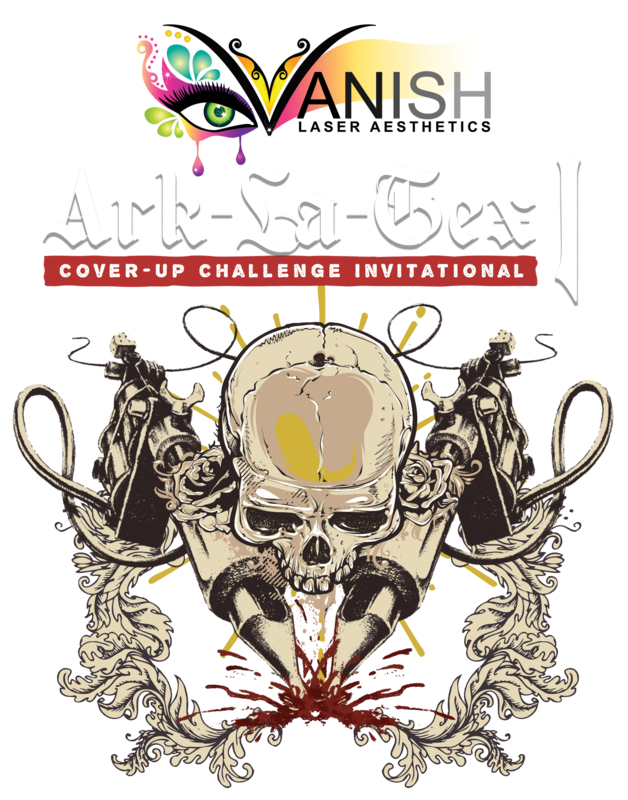 Vanish Laser Aesthetics is proud to present the first annual Cover-Up Challenge Invitational. We are inviting over 50 tattoo studios throughout the Ark-La-Tex to showcase their work in a fun but competitive online event. Artist will have from April until Sunday, July 21th, 2019 to enter their before and after cover-up pictures. During this time period, you will have the ability to follow the Challenge and engage with the artists through social media links for each entry. Beginning Monday, July 22nd, the voting platform will become active and will last until Sunday, July, 28th. During this time period, you will have the ability to register and vote 1 time for your 3 favorite entries. All entries will have a calculated total and the finalists will be announced Wednesday, July 31st on the Vanish FaceBook page. The number of finalists will be a percentage of total entries and will be announced at conclusion of entry deadline. Our judging panel of experienced unbiased tattoo artists will determine the winners with the results being announced Friday, August 2nd on the Vanish FaceBook page. Trophies and Cash will be awarded to the winners. Have fun following the Challenge through social media and the Vanish website over the next few months and see all of the great work being produced by local artists.